I guess, like a many people, I found Country Funk in the $1 stacks at Rasputin’s maybe 20 years ago. I spent a lot of time doing a vinyl rip back when CD-R’s were kind of expensive. The files available from CDBaby are better quality, of course, and well worth $10. There was a Web site at countryfunk-do-net a few weeks ago, but it looks like they band let the domain expire. Country Funk opened for many famous act’s in the 1960’s and 70’s. We got a lot of recognition from the boston scene, and the whole east coast for that matter. We opened for Jethro Tull, Jimi Hendrix, Allman Bros, Van Morrisson, Neil Young, CSNY, Sly and the Family Stone, Ten Years After, Velvet Underground, and many, many others. Somehow we did not get the recognition we deserved. We made 2 albums together, one which was released and one that is just now being released after many years in the dust bin of musical history. It has been digitized and remastered onto a cd format and still sounds as good as ever. Our surviving members are thrilled to make this”new” music finally available to the public. If you’d like to read about us and our history, please go to www.fantasticexpedition.com where you will find an article detailing those wide open times. We also have a wonderful web site. 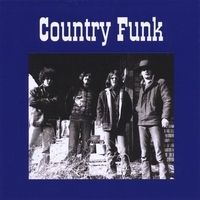 Please visit us at www.countryfunk.net and enjoy. We took great pleasure in reviving ourselves and remembering what an exciting time it was for us and for all of us. Rock N Roll will never die! In addition, 2 of us….Hal Paris and Joe Pfeifer have released solo cd’s that are available thru cd baby and through our web site. Have a listen…….let us know, please.